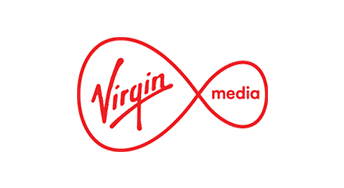 To celebrate Virgin Media being named 'Fastest Provider (downloading)' in our Home Broadband Survey, we have an exclusive deal on certain Virgin Broadband and TV packages. Can I get these reward deals? All the deals above are available to new Virgin Media customers only. So if you haven't used them before then you should be eligible. Moer broadly: Virgin Media operate their own fibre broadband network, which is slightly less ubiquitous than BT's Openreach network. However it is available to an increasing majority of customers. To see if you can get a deal, either enter your postcode when you've clicked through to the Virgin site, or use our Virgin broadband checker. These rewards are all offered by Broadband Genie. All eligible customers should receive their voucher within 120 days of their broadband being activated. For more information check out our complete guide to claiming broadband rewards. TalkTalk Rewards and Amazon Vouchers: TalkTalk is a cost-effective provider at the best of time, but they occasionally will offer additional rewards too. Plusnet Cashback and Rewards: Plusnet regularly hands out rewards in the form of a cashback cheque or pre-paid Mastercard with at least one of their packages. BT Rewards: BT regularly offers everything from pre-paid Mastercards to Samsung tablets as an added incentive. Post Office Broadband Vouchers: The Post Office Broadband is reliable and affordable and if you're lucky may occasionally come with a voucher reward upon signup. Vodafone Fibre Broadband with Rewards: Vodafone boast a great fibre broadband offering, which is even better when they pair it with an incentive, see what's available today.